The acute influence of mobile phones, smartphones, and tablet PCs in our daily life is no news. It has pervaded almost all spheres of human lives - helping us to be smarter, faster and better. The same is for the education sector. Within the classroom or outside the classroom, using mobile applications helps to acquire a higher degree of precision and efficiency, making it a fun way of learning or teaching. 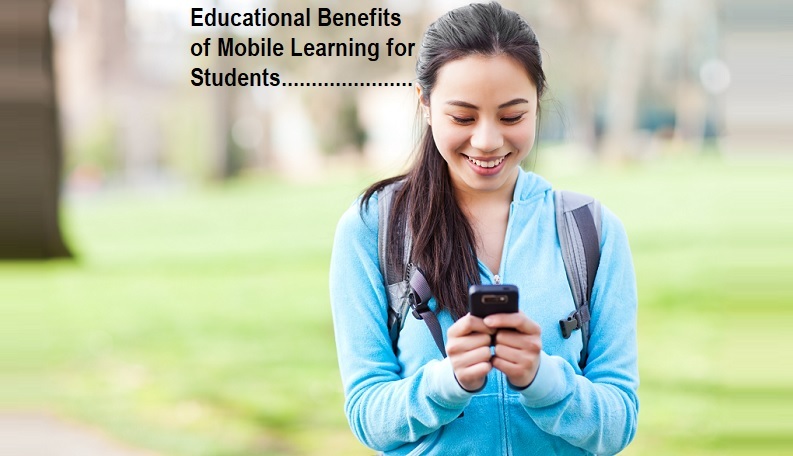 Here are some key advantages of using mobile phones for educational purpose inside and outside the classroom. Options: Using mobile applications, one can do a lot of activities like learning a new language, knowing the earth by the use of Google maps and Google earth or even studying the entire syllabus of your grade. There are many applications in the Google's Play Store as well as in the Apple 's App Store, via which you can learn and study other topics apart from your regular school curriculum. Suppose you want to learn how to play the guitar, for this, just search in the app store and you will get many applications that will teach you how to play the guitar. Nowadays schools are also using mobile applications which connect the parents to their students. With the help of these applications, schools are able to notify the parents by updating the student’s daily performance and comparing their progress. The new transformation in the field of education has replaced the textbooks with interactive videos and fun games. Now students can study while watching an interesting video or by playing a quiz, as these study materials are made using animated videos and eye-arresting images. For example, You just completed a topic of mathematics, say polynomial, after which you will be asked to take a quiz where you can measure your understanding of the concept. Now, one can study anywhere and at any time. Students who are ill and are not able to go to school or college can take part in the same class while being at the hospital or at their home. Students who are pursuing courses via distance education do not have to visit the institute every time they have to give an assessment. They can submit their assignment and even get notified of the latest information with the help of the mobile application of that institute. Mobile Applications make learning fun and engaging by the use of latest technology like Virtual Reality and Augmented Reality. Applications like mathematics app help students to learn the concepts of calculus and trigonometry in a very easy and simple way. The following video is one of the best examples for students to better understand the benefits of mobile learning. You can also subscribe the channel to start learning from your mobile phone instantly.